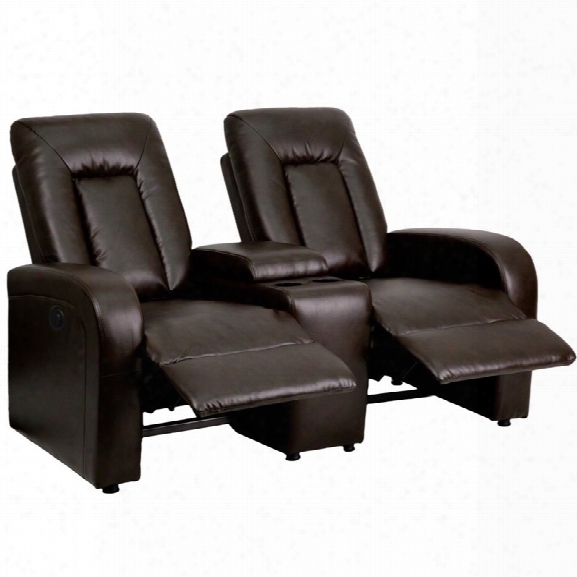 Flash Furniture 2 Seat Leather Reclining Home Theater Seating In Brown. Flash Furniture - Home Theater Seating - Bt702592pbrngg - Complete Your Theater Room With This Comfortble Theater Style Seating. The Soft Leather Will Keep You Comfortable As You Sit Down With Friends And Family For Movie Night Or While Playing Video Games. The Flip-up Armrests Contain Plenty Of Room For Storing Remotes, Magazines, And Game Controllers. Power Recline Lets You Adjust To Any Desired Position At The Press Of A Button, Maximizing Convenience. You Can Setup As Many Rows As Needed To Fill Up Your Desired Space. [bt-70259-2-p-brn-gg]finish: Brown; 2 Push Button Recliners; Storage Console With 2 Cup Holders; Soft Plush Back Cushions; Okin Motor; Brown Leathersoft Upholstery; Leathersoft Is Leather And Polyurethane For Added Softness And Durability; Spot Clean With Damp Cloth; Ca117 Fire Retardant Foam. Specifications:overall Product Dimensions: 43.5 H X 63 W X 38 - 68 D; Overall Product Weight: 196 Lbs; Console Dimensions: 22 H X 11 W X 26' 'd; Console Interior Dimensions: 10 H X 8.5 W X 13 D; Warranty: 5 Year Limited (non Moving Metal Parts) 2 Year Parts. 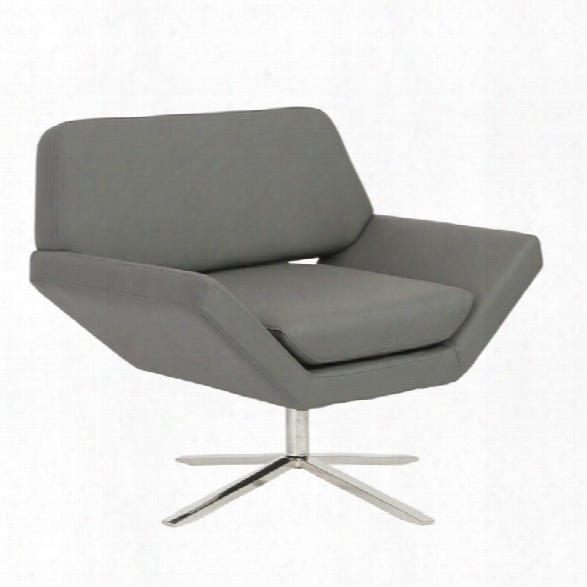 Eurostyle Carlotta Lounge Chair In Gray. 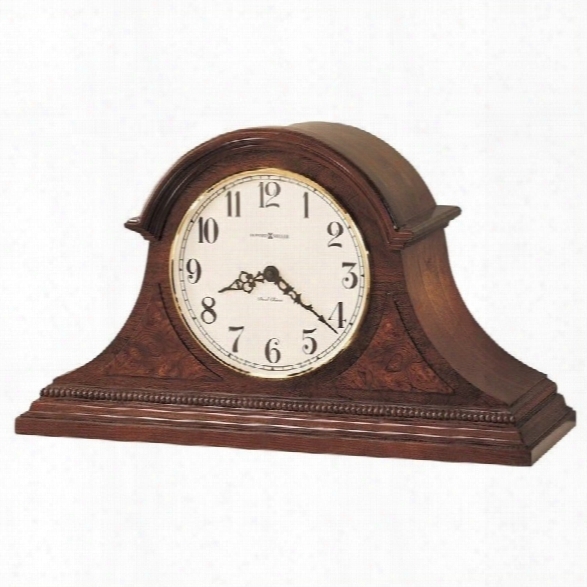 Howard Miller Fleetwood Quartz Mantel Clock. 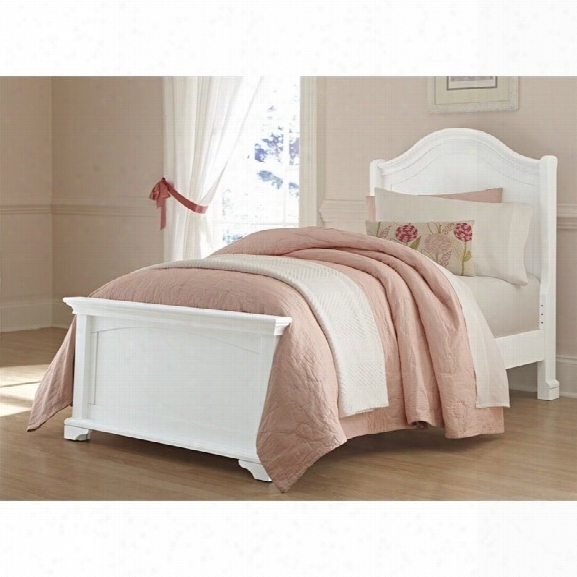 Ashley Bostwick Shoals Wood Queen Storage Panel Bed In White. Ashley Furniture - Beds - B10013b13954s5795kit - With A Relaxed Cottage Design That Features Beautiful Frame Details Along With Scalloped Tops And Base Mouldings All Bathed In A Glowing White Finish, The &#8220;bostwick Shoals&#8221; Bedroom Collection Creates An Inviting Atmospher Ethat Is Sure To Transform The D&#233;cor Of Any Bedroom. Replicated Solid White Paint. Casual Cottage Design Accented With Pewter Color Knobs For A More Urban Look. Scalloped Top And Base Mouldings Add Dimensional Flare To Case Perimeters. Side Roller Glides For Smooth Operaing Drawers. Clean And Simply Beautiful, The Bostwick Shoals Headboard Masters The Art Of Understated Elegance. Whether You&#8217;re Looking To Exude An Air Of Cottage-chic Flair Or A Modern Classic Vibe, This Easy-to-love Look Makes Just The Right Statement. Finish: White; Style: Vintage Casual; Casual Cottage Design; 2 Bottom Drawers. Specifications:overall Product Measurements: 64.75 W X 86 D X 53.5 H; Overall Product Weight: 208 Lbs; Drawer Interior Dimensions: 23.75 X 14.75 X 5.00; Panel To Floor: 22.75; Bottom Of Rail To Floor: 6.00 . 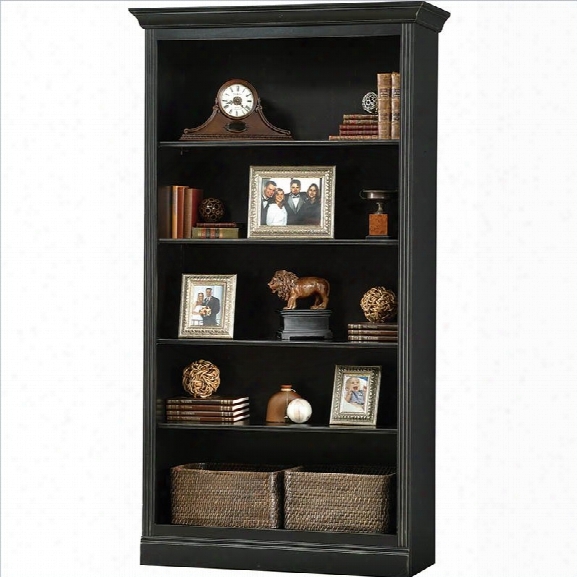 Howard Miller Ty Pennington Oxford Bookcase Center In Antique Black. Howard Miller - Bookcases - 920012 - For Over 70 Years, Howard Miller Has Understood The Need To Create Products That Are Steeped In Quality And Value And To Never Expect Anything Less Than The Best. No Matter The Price Of The Purchase, You Have Howard Miller's Assurance Of Quality That Is Reflected In Both The Products They Create, And In The People Whose Artistic Talents They Rely On To Manufacture Them. Incomparable Workmanship. Unsurpassed Quality. A Quest For Perfectio Nthis Stately Wall Storage Unit Features A Fluted Front Frame And Has Plenty Of Storage Space To Showcase Your Treasures. Antique Black Finish On Select Hardwoods And Veneers; One Fixed And Three Adjustable Wood Shelved; Adjustable Floor Levelers Provide Stability On Uneven Floors; Made In The Usa; Features A Wraparound Pediment . Specifications: Dimensions: 85.75h X 18.25d X 46.25w; Carton Dimensions: 23.06h X 86.62d X 49.5w; Weight: 169 Lbs . 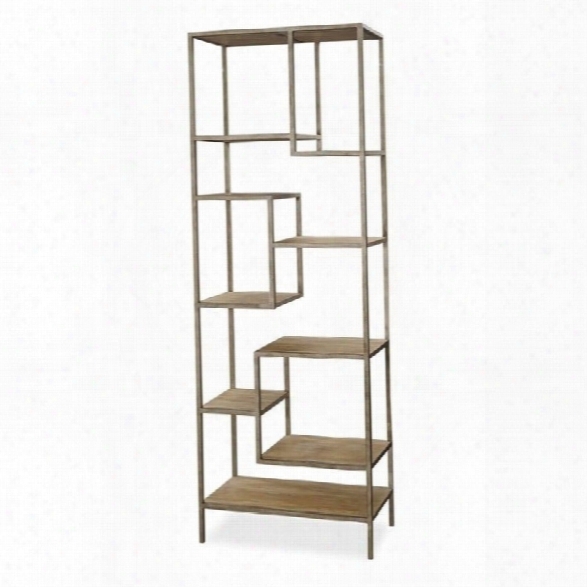 Universal Furniture Moderne Muse Bunching Etagere In Bisque. Uttermost Stratford Rustic Console Table In Stony Gray Wash.
Uttermost - Console Tables - 24250 - With The Advanced Product Engineering And Packaging Reinforcement, Uttermost Maintains Some Of The Lowest Damage Rates In The Industry. Each Product Is Designed, Manufactured And Packaged With Shipping In Mind. 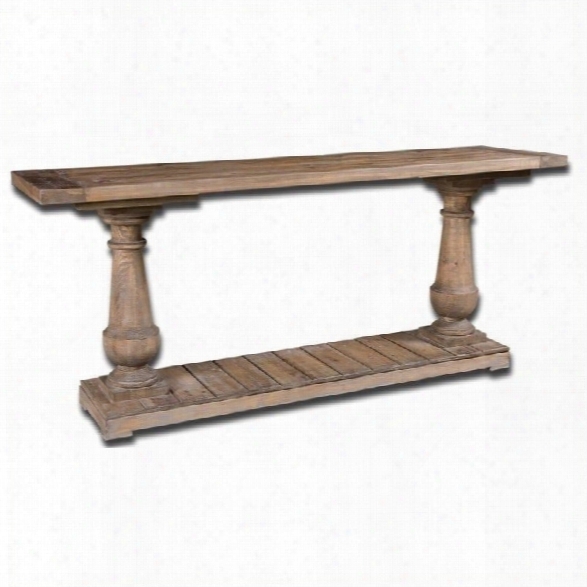 Uttermost's Tables Combine Premium Quality Materials With Unique High-style Design.designer: Matthew Williams; Material: Reclaimed Fir; Solidly Constructed Of Salvaged Fir Lumber And Hand Turned Balusters; Sun Faded And Distressed Patina Is Finished With A Stony Gray Wash. 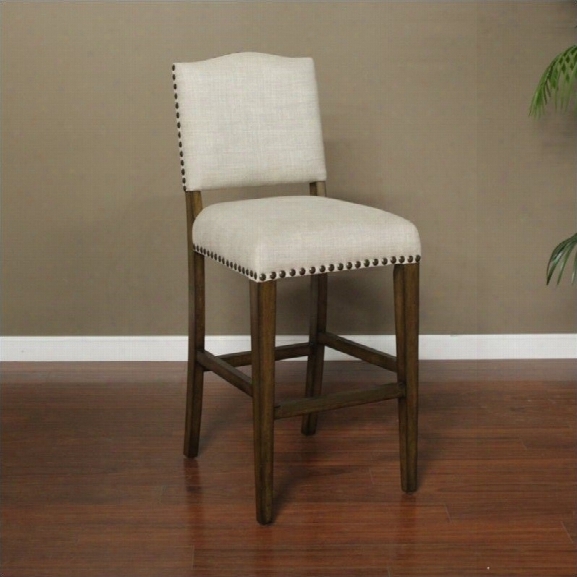 Specifications:overall Product Dimensions: 30 H X 7.875 W X 18 D; Weight: 73 Lbs..
American Heritage Worthington Bar Stool In Coastal Grey-34 Inch. American Heritage Billiards - Bar Stools - 134896cg - The Bar Stool Is Finished In Coastal Grey With Sahara Sand Linen Upholstery, The Worthington Also Features Built Using Mortise And Tenon Construction Principles, Adjustable Leg Levelers, Metal Footplate, Individual Tacking, Webbed Seating For Improved Comfort And A 3 Linen Cushion. Complete With A 1 Year Warranty Sahara Sand Linen Upholstery; Stationary; Adjustable Leg Levelers; Fully Assembled; 1 Year Warranty; Built Using Mortise And Tenon Construction Principles; Individual Tacking; Metal Footplate; Coastal Grey Finish. Specifications:41 Inch Dimensions: 41 H X 19 W X 22 D; Weight: 21.73 Lbs; 41 Inch Seat Height: 26 Inch; 45 Inch Dimensions: 45 H X 19 W X 22 D; Weight: 22.96 Lbs; 45 Inch Seat Height: 30 Inch; 49 Inch Dimensions: 49 H X 19 W X 22 D; Weight: 24.60 Lbs; 49 Inch Seat Height: 34 Inch. 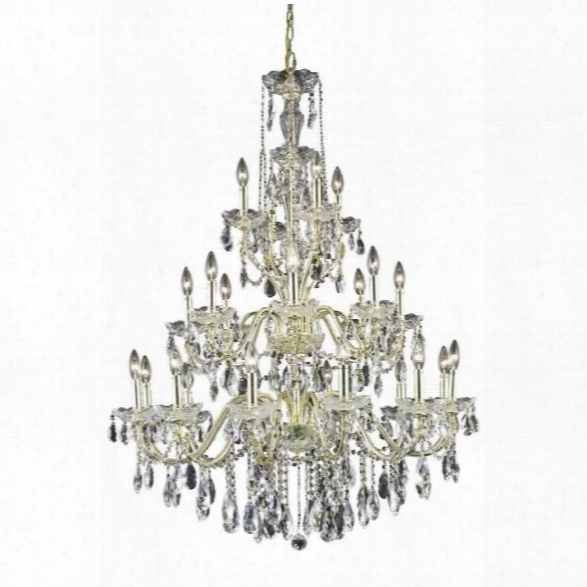 Elegant Lighting Grande 25 8 Light Elegant Crystal Chandelier. Elegant Lighting - Chandeliers - 5808d25pw/ec - This Impressive Chandelier Features A Glass Body And Arms With Just The Right Touch Of Brass Casting In Four Different Finishes. 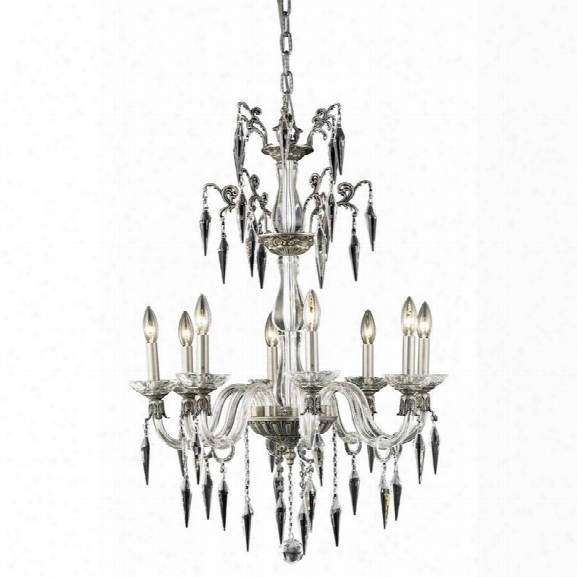 Accented With Crystal Rings And Spear Shaped Crystal Pieces, The Grande Collection Is Inspired By The Same Chandeliers That Hang In The Grand Ballrooms Of European Royalty.finish: Pewter; Crystal Color: Crystal (clear); Style: Traditional; Crystal Trim: Elegant Cut; Recommended Light Bulbs: 8 X E12 Bulb(s); Includes A 5' Chain Wire; Ul And Ulc Standard: Yes. Specifications:overall Product Dimensions: 34 H X 25 W X 25 D; Overall Product Weight: 54 Lbs; Bulb Wattage: 40; Max Wattage: 320; Voltage: 110v-125v. 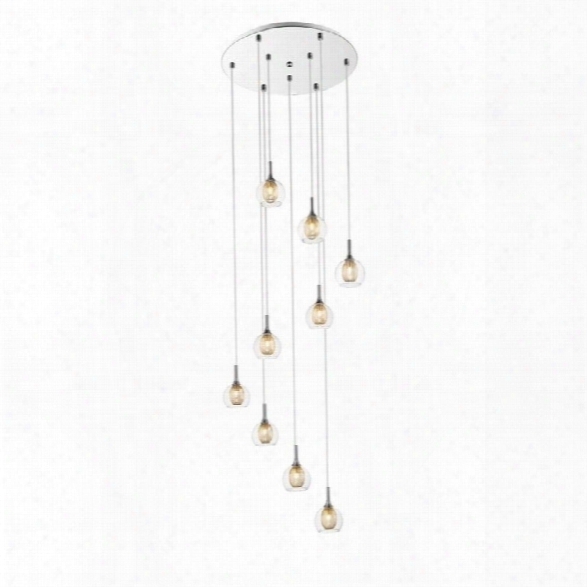 Elegant Lighting St. Francis 36 24 Light Spectra Crystal Chandelier. Elegant Lighting - Chandeliers - 2016g36g/sa - Reminiscent Of Classic Chandeliers, The St. Francis Series Brings The Past To Life In Today's Homes With Stunning Crystal Pendalogues And Crystal Bobeches On Gold Or Chrome Frames.finish: Gold; Crystal Color: Crystal (clear); Style: Transitional; Crystal Trim: Spectra Swarovski; Number Of Lights: 24; Recommended Light Bulbs: 24 X E12 Bulb(s); Includes A 5' Chain Wire; Ul And Ulc Standard: Yes. Specifications:overall Product Dimensions: 49 H X 36 W X 36 D; Overall Prodhct Weight: 64 Lbs; Bulb Wattage: 40; Max Wattage: 960; Voltage: 110v-125v. 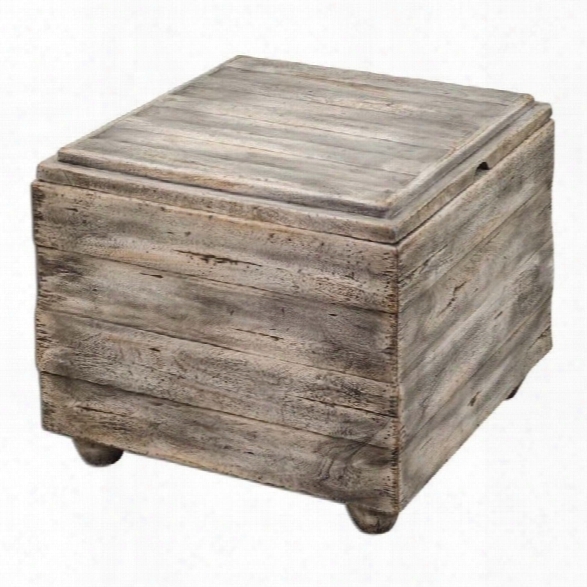 Uttermost Avner Wooden Cube Table. Steve Silver Abaco Drop Leaf Counter Height Dining Table In Acacia. Steve Silver Company - Dining Tables - Ab200ptxkit - Let The Abaco Drop Leaf Counter Height Storage Table Take Center Stage At Your Next Dinner Party Or Gathering. 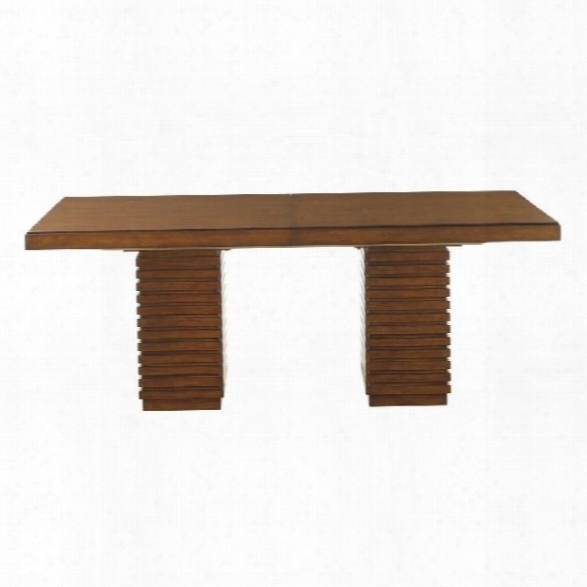 The Dining Table Includes Tapered Legs And A Very Unique Finished Top. The Abaco Collection Is Made Of Great Craftsmanship So That You Will Enjoy This Collection For Years To Come. Multi-step Acacia Finish; Contemporary Style; Corner Block Construction; Tongue And Groove Joints; Pedestal Base With Storage ; Four Drop Down Leaves Change Shape From 59 Round To 42 Square ; Wood Base And Wood Top . Specifications: Overall Dimensions: 36 H X 42-59 W X 42-59 D; Weight: 129 Lbs . Tommy Bahama Home Ocean Club Peninsula Dining Table. 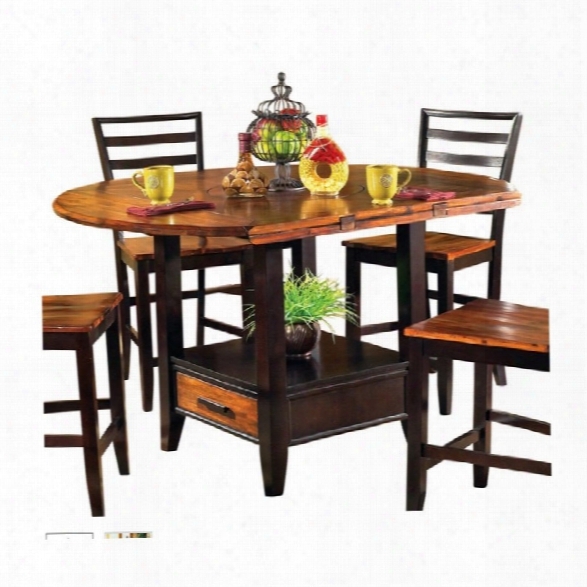 Tommy Bahama Home - Dining Tables - 536876c - Solid Constructionsundrenched Sienna Bali Finishhickory Veneers And Select Hardwoodsleaf Inserttwo Peninsulasspec Ifications:some Assembly Requiredoverall Size: 78 W X 44 D X 30 Hbottom Of Apron To Floor: 27.25 Extends To 100 With 22 Leaf Insertweight: 355 Lbs. 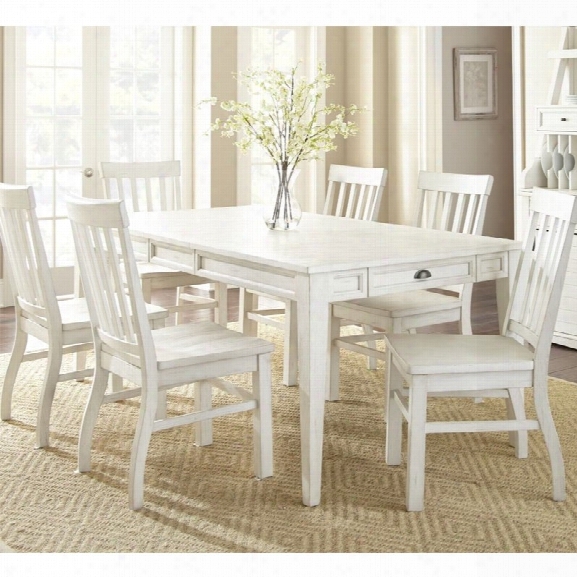 Steve Silver Cayla Extendable Dining Table In Antique White. 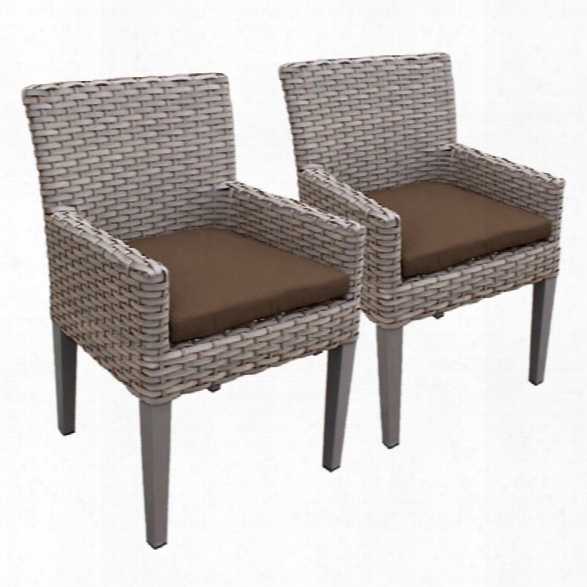 Tkc Oasis Patio Dininng Arm Chair In Dark Brown (set Of 2). Z-lite Auge 9 Light Pendant In Chrome. 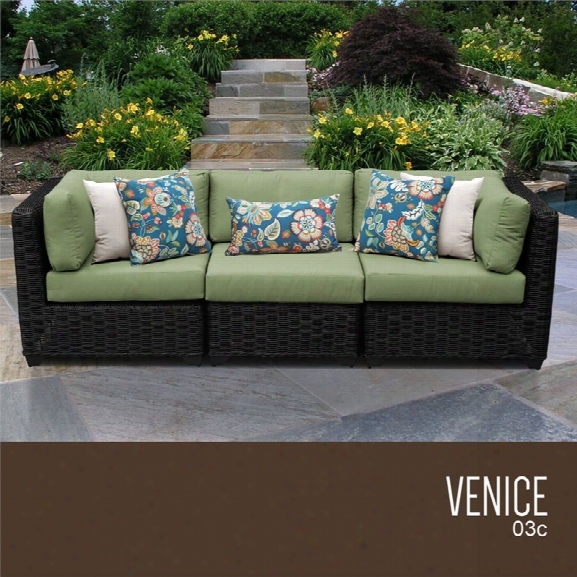 Tkc Venice 3 Piece Patio Wicker Sofa In Green. Ne Kids Walnut Street Morgan Twin Arch Bed In White. 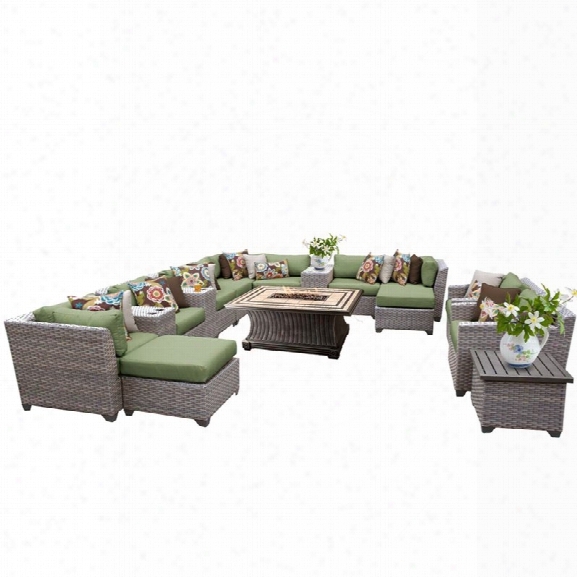 Tkc Florence 17 Piece Patio Wicker Fire Pit Sofa Set In Green. 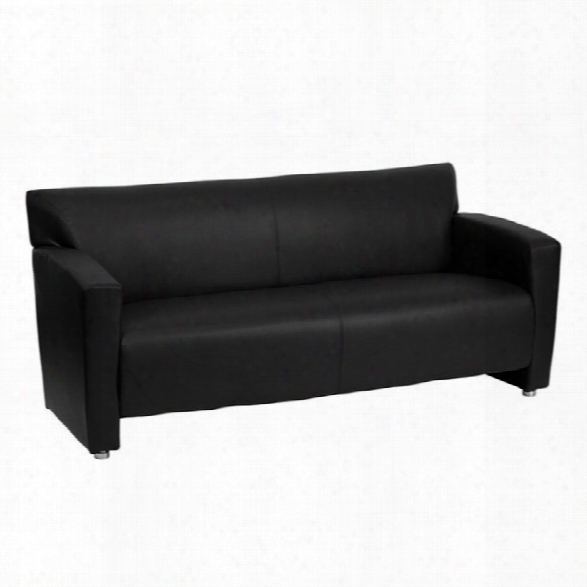 Flash Furniture Hercules Majesty Leather Sofa In Black. 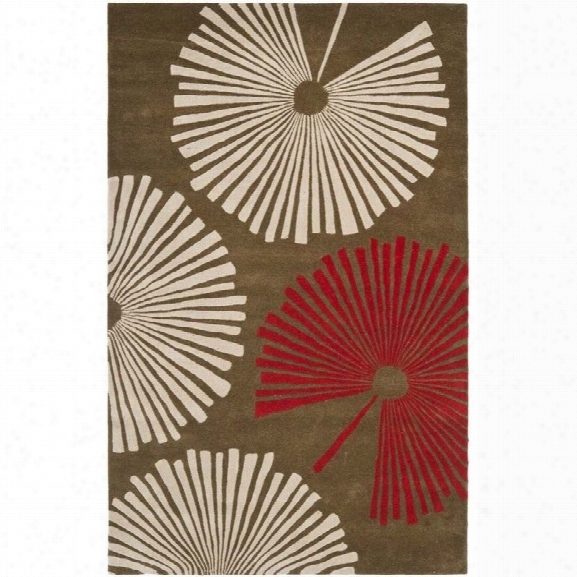 Safavieh Soho Brown Contemporary Rug - 8' X 10'. 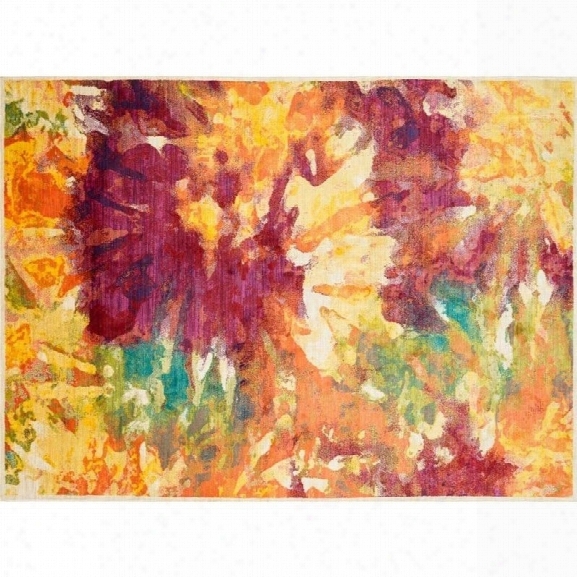 Loloi Madeline 7'7 X 10'5 Power Loomed Rug In Flame. 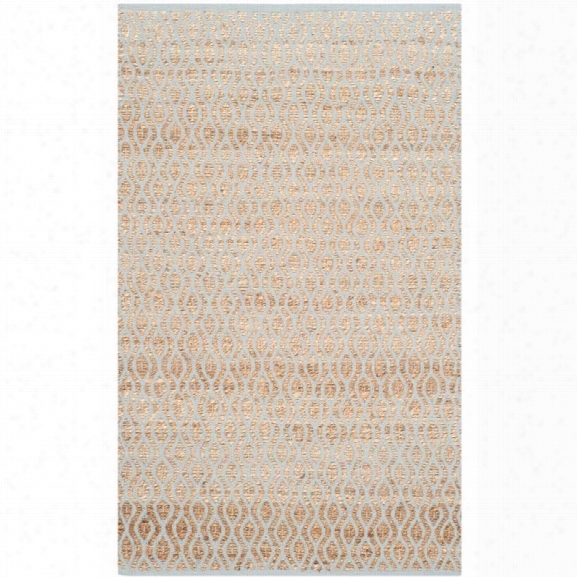 Safavieh Cape Cod 9' X 12' Hand Woven Rug In Silver And Natural. 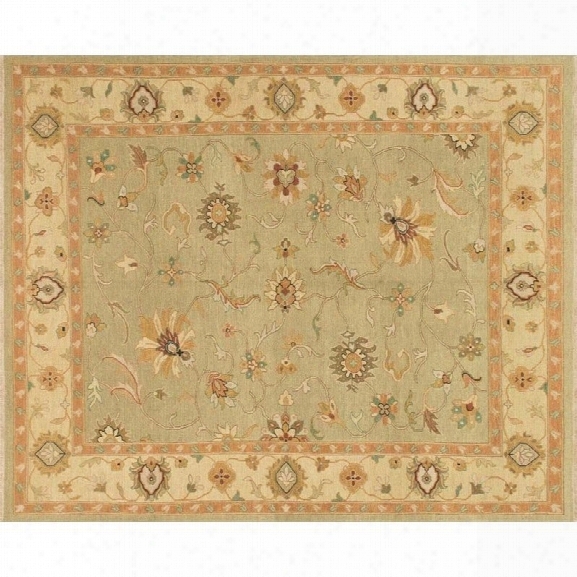 Jaipur Rugs Catalina 7'6 X 9'6 Polyester Rug In Ivory And Purple. 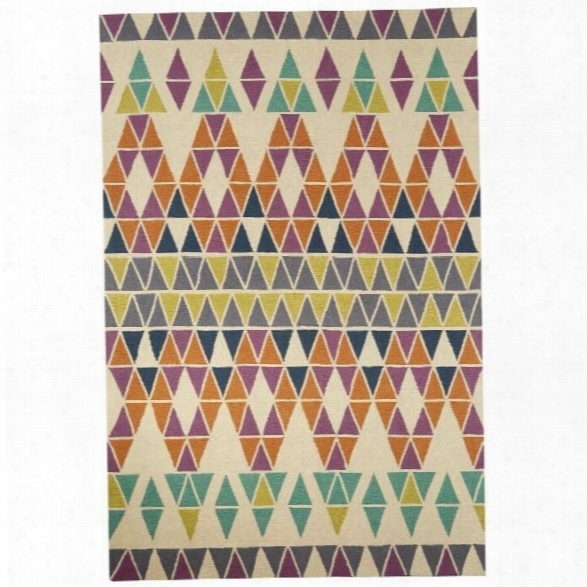 Loloi Laurent 9'6 X 13'6 Hand Knotted Wool Rug In Sage And Gravel.